A new hypothesis to understand Honeybee colony losses? Honeybees, through their role as pollinators, provide a crucial ecosystem service to natural flora and agriculture worldwide. 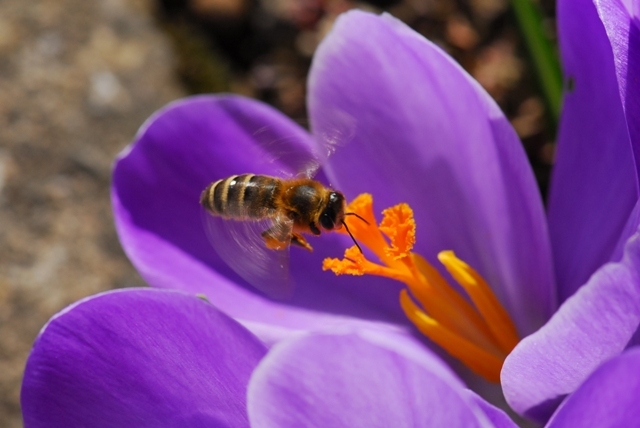 Parasites and pathogens represent an increasing threat to honeybees. Colony collapse disorder (CCD) in the USA and other types of colony losses in other parts of the world are characterized by unexplained decrease of adult population leading to colony death. Although scientists do not fully understand the causes of these losses, current knowledge suggests that these are multifactorial and that the interactions between weakening agents such as pathogens and parasites may play a key role in this phenomenon. To date, a factor not taken into account in this project, is the presence and role of endosymbionts associated with arthropods. In addition to their ability to manipulate the reproduction strategy of their hosts, there is increasing evidence that endosymbionts confer pathogen (e.g. virus) resistance to their host to improve their spread in order to invade their host’s population.